We’ve gone into extreme detail about the Time Capsule and Airport Extreme updates. I originally intended to have this posted with a hint of irony on WiFi day (8.02.11) but instead ended up spending that special day doing more testing and running even more instances of Iperf to make sure our numbers were solid. What’s changed between both previous generations is simple—the Time Capsule gets an official 3TB option, and both the Time Capsule and Airport Extreme now have a much more powerful, modern, and better-performing BCM4331 based WiFi stack. The result of the move from Marvell to Broadcom is twofold. First, performance and range is definitely better thanks to more transmit power and the improved sensitivity afforded by newer generation chipsets. 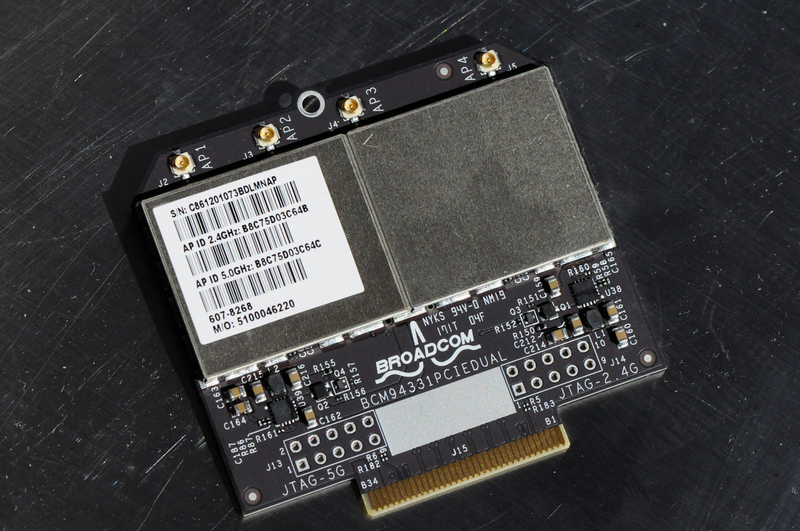 Second, the combination of lots of Broadcom in Apple’s hardware lineup (from the iPhone, iPad, and MacBooks, to iMac and Mac Mini) with Broadcom in the access point likely allows for the use of frame bursting or some other packet aggregation technique that speeds things up in some scenarios. It’s another example of how having that complete hardware control can in fact result in some benefit—in this case, faster WiFi. Before this update, there were so many rumors about both iOS based Airport products, that the Time Capsule would cache software updates locally, and that the whole thing would somehow tie into Apple’s iCloud solution. None of that exists right now, and it’s looking like (for now) the rumor mill has some egg on its face. I waited patiently for Lion to launch and half expected things to turn on and render half of the review null; instead that day came and went without much change at all. As of this writing, the core functionality of the Airport line remains the same as it was before—sans any iCloud/iOS magic/local update caching. There’s a stigma that Apple gear is more expensive, and for the 3TB Time Capsule that may be the case, but the Airport Extreme is actually right near where it should be. Take for comparison the Linksys E4200, which is a 2×3:2 device on 2.4GHz, and 3×3:3 on 5GHz, and also Broadcom based. That device runs for $179.99 and features similar functionality including a USB 2.0 port for sharing devices. At $179.00, the Airport Extreme offers full 3×3:3 on both 2.4 and 5GHz, albeit the E4200 does have considerably more Tx power, which we’ll investigate in a forthcoming article. I guess the reason that I personally use an Airport Extreme (in conjunction with another device for NAT) is that it’s really one of a small number of 802.11n dual-band APs I’ve tried that actually works without locking up, becoming unstable periodically, dropping the session from overheating when being pushed to 100% for hours, or requiring a daily reboot. There are just so many other consumer level 802.11n APs that either fall short or are incredibly frustrating and unreliable. Thus far, I’ve been using an Airport Extreme Gen 5 and Time Capsule Gen 4 as my primary AP with over 12 devices attached to each one for the greater part of a month without a single instability. It’s that kind of stability that really sells it for me, even with 3×3:3 out of the picture. That kind of sums up WiFi in general—ideally, it should work and be something transparent to the user instead of a constant consideration. I wager the vast majority of Airport Extreme and Time Capsule owners have no idea what 3×3:3 is or how to even check their physical link rate, and for the most part that’s a testament to how stable these devices are. Maybe that’s the reason why Apple doesn’t make a super huge note about changes like markedly improving their WLAN connectivity. One thing is for certain, Apple’s wireless division is either playing it incredibly cool, or honestly not getting the credit it deserves. Wireless networking just isn’t ready for moving huge chunks of data around. Where iOS devices are behind the curve, competitively, is in cloud-based syncing for small bits of data. iPhone and iPad owners need MobileMe to get no-fuss wireless syncing for calendars, contacts, and bookmarks. I like MobileMe a lot, and it’s been very reliable for me for a few years now. But, at $99/year, it’s not something most iOS users have, and thus, most iOS users don’t get over-the-air syncing of calendars, contacts, and bookmarks. That’s not competitive today. (I’d love to know exactly what percentage of iOS users do use MobileMe.) I’ll bet nearly all Android users have Google accounts, and thus get calendars and contacts and many other bits of application data synced over-the-air a few minutes after they take their phones out of the box. iBooks does this. If you pause while reading a book on your iPad, then resume reading on your iPhone, it picks up on the same page in the book. Kindle and a bunch of other e-reading services do this too. The point isn’t that iBooks is unique or ahead of the curve in this regard. It’s that you don’t need MobileMe for iBooks. 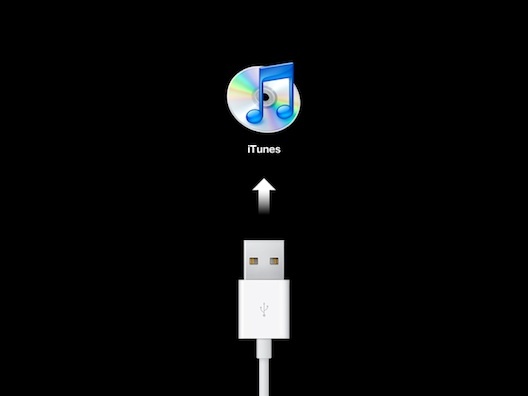 It’s all handled by the iTunes Store itself. You buy books on your device, you read them on your device, and your history, bookmarks and other metadata all get synced to your iTunes account in the cloud. And it works great. But a lot more apps should work like this. Should wireless Safari bookmark syncing cost $99 a year? Shouldn’t it be easy for iOS game developers to sync progress for the same game across multiple devices using the same iTunes account? App Store developers shouldn’t have to rely on another third-party — Dropbox — for this sort of functionality. […] The iPad versions of the iWork suite and GarageBand are exquisite apps — easily some of the best-designed user experiences for creative software ever made. But the process of getting, say, a slide deck created in Keynote on your iPad open in Keynote on your iMac is downright antediluvian. Google Docs has none of the UI panache, but the syncing is invisible. You just open Google Docs, and there are your files. Doesn’t matter which machine you used to edit or create them, or which machine you’re using now, they’re all just there. That’s part of the overall experience. Speculation about the possibility of VoIP (voice over internet protocol – a method for making and receiving voice communication over a connection to the internet, as opposed to the cellular telephone network) on the iPod Touch arose yesterday when the specifications of new Apple headsets with external mics appeared to include support for the iPod Touch in addition to the new iPod Nano and the 120GB iPod Classic. The software may already be here, in fact. TruPhone, a venerable innovator in the VoIP field, already has an iPhone application in the AppStore. Apple has said it would not permit applications that run VoIP using cellular networks, but a purely wi-fi-based calling method could pass muster, making the iPod Touch a little less distinguishable from its iPhone sibling. “FON,” he said, “is like a telephone company built by the people,” he said. During that 90-minute meeting, Mr. Varsavsky says, the two men discussed why a partnership might make sense. Mr. Varsavsky says he left the meeting with the uncomfortable feeling that Apple might end up as a competitor rather than as a partner. But it wasn’t only because of Mr. Jobs’s legendary stubbornness that the Apple meeting apparently went awry. Mr. Varsavsky’s own substantial ego also came into play — something he freely acknowledges when he talks about how he first got into business.